Nuthin' But Mech is the brainchild of entertainment designer Lorin Wood. He wanted a place to harbor his passion for robots so he put together a blog and corralled some of his friends and professional acquaintances to populate this nook of cyberspace. A collaborative effort from over 40 artists, this title will showcase various styles of mecha design that the artists create while they are not working on block buster movies, tv shows and video games. ◼︎ A portion of the proceeds from the book are donated to Charity Water. 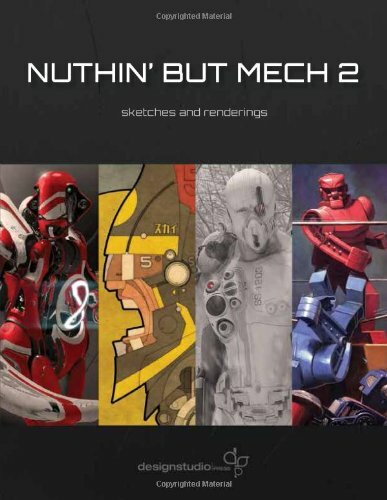 Nuthin' But Mech 2 delivers outstanding artwork from 40 artists contributors to the Nuthin' But Mech blogspot. Founder of the blogspot, Lorin Wood is so passionate about Mecha design that he created a nook of cyberspace to dedicate to the talent that he found among his colleagues. Lorin has been involved with the development of games Aliens: Colonial Marines, Borderlands as well as Borderlands 2. He has also worked with major studios such as Walt Disney Pictures, 20th Century Fox and Warner Independent Pictures. ◼︎ A portion of the proceeds from the book are donated to the Francis Tsai Family. 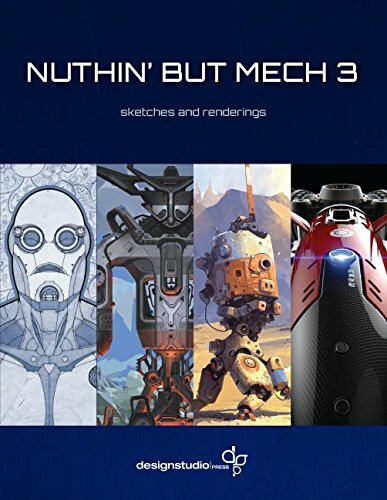 Nuthin' But Mech 3, 54 artists contribute to this amazing third installment of the popular Nuthin’ But Mech book series, based on the eponymous blog started by designer Lorin Wood in 2009 to create a place for his friends, colleagues, and acquaintances to share a common passion: robots. 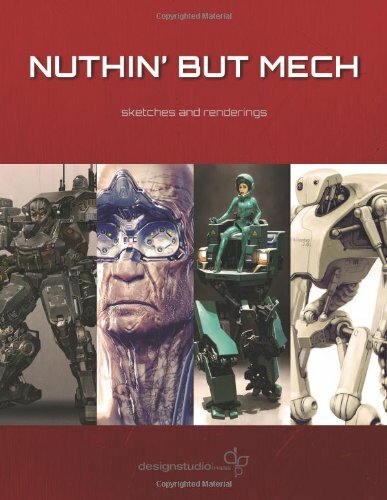 The popularity of the blog led to the publication of the first Nuthin’ But Mech book in 2012 with the work of 31 artists, followed by the highly anticipated second volume in 2014 with 40 artists. Nuthin’ But Mech 3 is the biggest volume to date, with new and returning contributors, and it is dedicated to the memory of contributing artist Francis Tsai, a remarkable talent and inspiring figure who passed away from Lou Gehrig’s disease in early 2015. In addition to featuring exceptional portraits that Tsai created using eye-tracking software, mech fans will appreciate the breadth of high-quality digital paintings, 3D models, as well as traditional works, by some of the most prominent artists and designers working in the entertainment industry today. ◼︎ In appreciation of Francis Tsai’s contributions to the artistic community, a portion of the proceeds from the sales of this book will be once again be donated to his family. 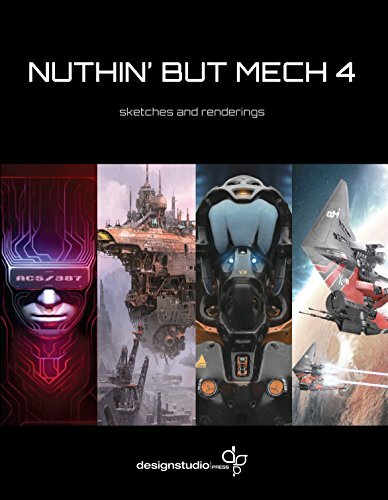 Wrapping up the undeniably popular series, Nuthin' But Mech 4 perfectly complements the thrilling volumes that preceded it, and celebrates how far artistry and technology can advance in just a few years. This final installment features artists from all manner of industries (film, animation, video games, theme parks), and their remarkable works illustrate a vast range of tones and themes. You'll also learn about the creators themselves through their accompanying biographies, which add a personal--sometimes comedic--touch. It's fitting that with the series coming to a close, Nuthin' But Mech 4 brings together the highest number of creatives yet--57 in all--each with original and imaginative points of view. More talent, more inspiration, more mech! ◼︎ A portion of the proceeds from the sale of this book will go to support blood cancer research and patient care at the Helen Diller Family Comprehensive Cancer Center at the University of California, San Francisco. WOOSH! 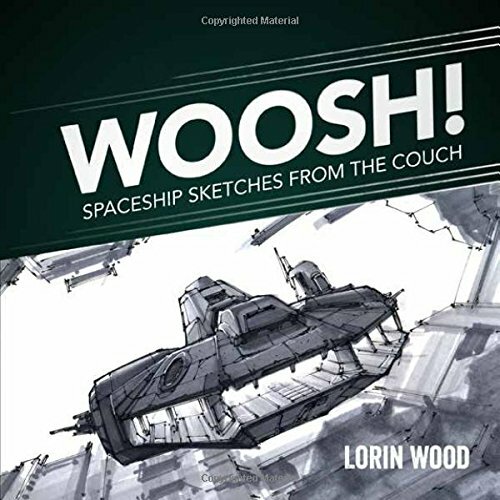 : Spaceship Sketches From The Couch is a collection of personal spaceship sketches created by entertainment designer Lorin Wood as he decompressed on his couch after a long day at work. While “analog” in its execution, there’s nothing dated about his vision of the future. His detailed ships will have you dreaming of space exploration with every line and brushstroke. And artists, hobbyists, and anyone who enjoys sketching will also appreciate Wood’s tips on what traditional tools to use and how to render. The Art of Borderlands 2 offers fans of the games a stunningly visual and in-depth look at the mysterious world of Pandora. This unique and dangerous world has captured the imaginations of millions of gamers, and here you can see it come to life on the page. Filled with hundreds of images, including close-ups of Pandora's environments, vehicles and one-of-a-kind weapons; you can also follow the creation of your favourite characters and creatures, from the first sketches to the finished product. 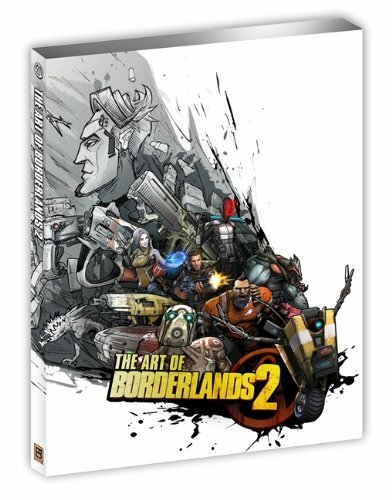 Every section boasts extensive commentary by the artists and developers who brought the game to life, making "The Art of Borderlands 2" a real collector's item for any fan of the series. 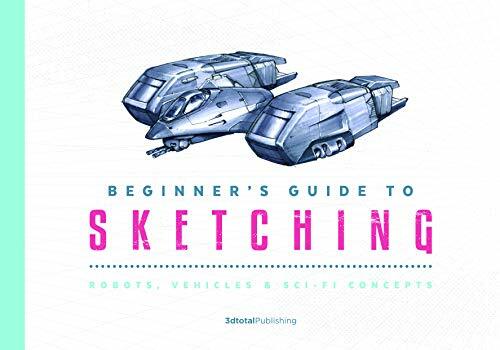 Beginner’s Guide to Sketching: Robots, Vehicles & Sci-fi Concepts Pick up your pens and pencils and join talented professional artists in this invaluable introduction to sketching quintessential sci-fi subjects such as spaceships, robots, futuristic vehicles, and innovative buildings. Learn how to design and color a range of fascinating visionary concepts from start to finish, unlocking knowledge that will allow you to develop your own unique and impressive sci-fi creations. Free time-lapse videos of a spaceship designs using the software package Mischief set to amazing music provided by the talented Anthony Scott Burns. The first in a series of marker rendering tutorials. Part one I use Photoshop tools by Kyle T. Webster. This tutorial is aimed towards those who are intermediate, hobbyist, or professional designers and illustrators who would like to refine and sharpen their visualization skills. My first reference pack from a recent visit to a local privately-owned flight museum of vintage fighter, commercial aircraft from virtually every era. Free to use.